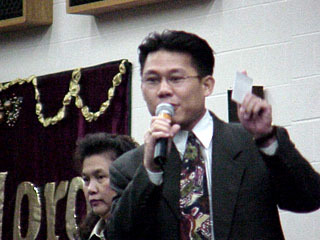 2002 Special guest speaker, Pastor. Vong Louangkhamdeng. 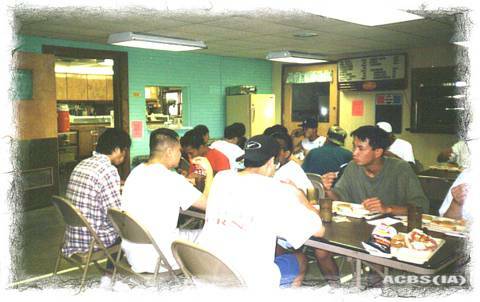 ACBS Summer Camp "SURVIVOR" at Pine Lake Christian Camp, Eldora-Iowa, July 7 & 8 2001. 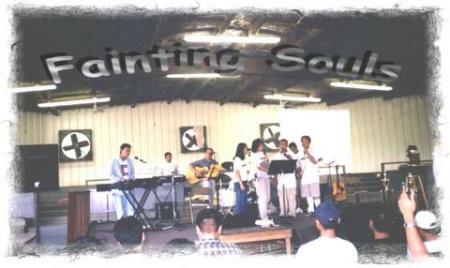 2003 (Iowa Youth Camp) Boot Camp! Click on picture to see more photos. Iowa 2003 ACBS Summer camp August 9-10 at Pine Lake Christian Camp. It was a wonderful camp!!! 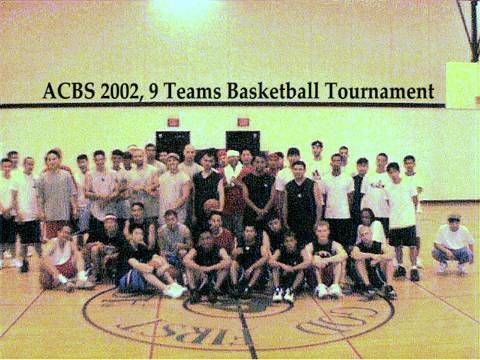 2004 ACBS camp, click for photos. 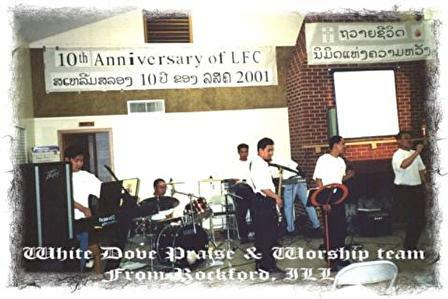 Click to see photos of the 2005 Summer Camp. 7 Scholarship of free admission to camp will be awarded, 50% off for all outer-state campers and youth leaders, regular price of $40 per camper includes; 1 night of lodging, 4 meals, 1 snack, all the fun activities (canoeing, hiking, swimming, campfire, and much more…..) and the most important of all, a wonderful fellowship with other brothers and sisters in Christ. Pastor Panya with his wife Rebecca Sayavongsa from Dallas, Texas will be here to share God's message and worship will be lead by ACOTOBY (youth group band from Des Moines). Click for slide presentation of the camp. 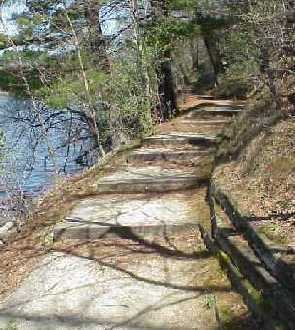 One of the camp's most scenic trails of the "Survivor Challenge" camp. Iowa Group picture at LBY Labor Day Camp(2001) Tahlequah,OK. The Eighth Annual LBY Labor Day Retreat! on September 1-3, 2001. 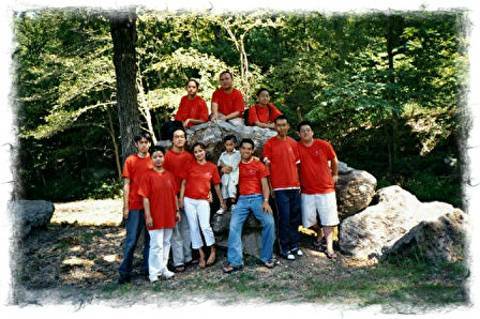 Camp Egan, Tahlequah, OK.
Who will be this year's Champ!!! Click on the Basketball for Tournament info. Lock-in and Christmas Concert practice. Christmas Concert, Click for more photos. Fainting Souls with Vertical Nation. 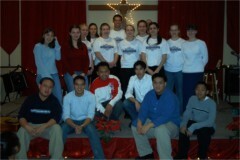 Click below on other links to see pictures of other youth and events.